Client Servicing PowerPoint templates, backgrounds Presentation slides, PPT Themes and Graphics. Browse our awesome collection of Client Servicing PowerPoint Templates and enhance your presentation with the amazing visuals. Add relevant PowerPoint layout in your presentation and aware your audience about the concept of Client Servicing. Define the term by using the unique and creative diagrams of Client Servicing. It is about establishing, maintaining and building client relationships. Illustrate some of its techniques and explain its strategies with the help of innovatively designed PowerPoint Templates. Also discuss the process of client servicing in the field of advertisement. Share the client servicing programs on the market with your audience through graphics. Share their roles and responsibilities by incorporating the relevant PowerPoint Templates in your presentation. Their goals is to listen to their customers, getting to know the client, builds a strong relationship with their clients and provide them a better service than their competitors. Go through the amazing collection of Client Servicing PowerPoint Templates that help you explain your points clearly and precisely. These professionally designed PowerPoint Templates are completely customizable. You can edit the color, text and icon of these templates as per your requirement. Download the creatively designed Client Servicing PowerPoint Templates and educate your audience about it with the help of our creative and unique visuals. 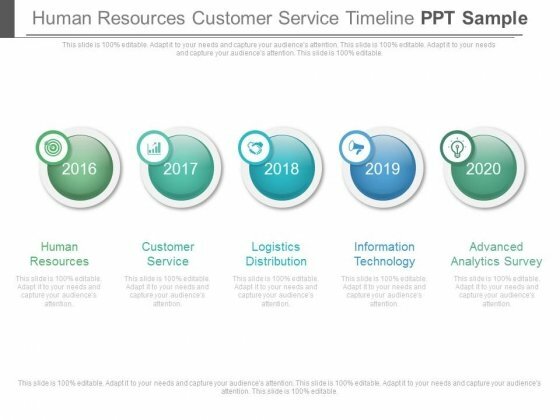 This is a human resources customer service timeline ppt sample. This is a five stage process. The stages in this process are business, services, success, marketing. Our Human Resources Customer Service Timeline Ppt Sample help in analysing contributory factors. Examine what each brings to the table. Graphic of black meter has been used to design this business diagram. 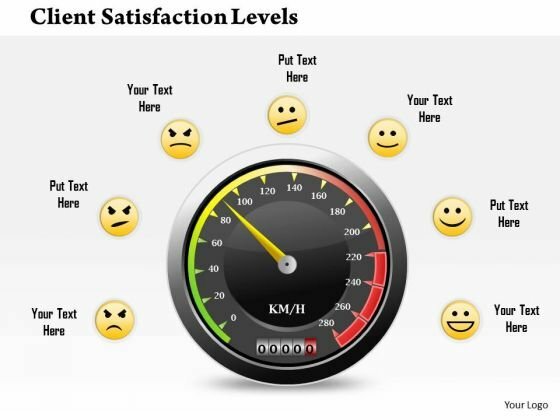 This business slide displays the concept of client satisfaction with different levels. Use this editable diagram for customer and business related presentations.